MILAN, Italy – After a difficult 2013, the downturn of the Italian market stopped in 2014. Bike deliveries to distribution channels increased by 6.4%. 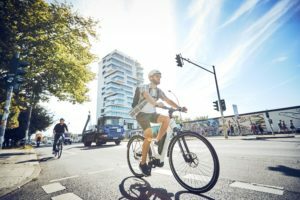 E-bike sales were stagnant due to a rapidly changing demand. 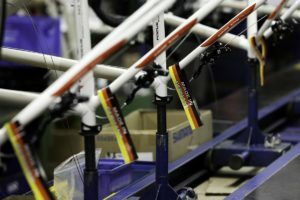 An improving Italian economy as well as a nice spring proved to be the right mix to rekindle the interest of consumers for bicycles and bike products. Compared to other sectors of the Italian economy the bike market had excellent performance in 2014. According to ANCMA (the National Association for the Bicycle and Motorcycle Industry) along with a big 6% increase in bike sales, production was up too; by 2.2%. 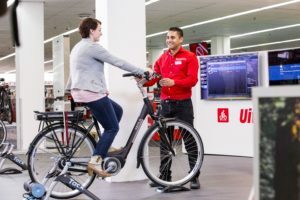 In 2014 deliveries to bike dealers and other distribution channels stood at 1,644,592 bicycles (up from 1,542,758 in 2013) and 51,156 e-bikes (down from 51,405). This resulted in a total growth of 6.4%. Bicycle production increased from 2,677,400 in 2013 to 2,737,320 units in 2014; a healthy 2.2% increase. 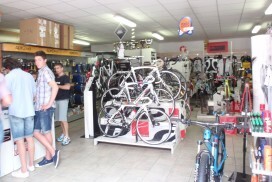 The Italian bicycle export (excluding e-bikes) remained solid and increased by 1.1% to 1,765,819 units. It confirms that Italy is still a European bicycle production hub. What contributed to the 6% growth of the Italian bicycle market is that cycling is on the rise. And that is not thanks to further growth in racing enthusiasts, which is traditionally big in Italy. Nowadays cycling in cities and urban areas is becoming very normal. According to ANCMA statistics, e-bike sales reached 51,156 units last year. This is 0.5% down on the 2013 number of 51,405. Electric bike production in Italy, although still small, increased to 8,720 e-bikes in 2014, from 6,200 units in 2013. At the same time e-bike exports decreased to 1,273 units (from 2,859 in 2013). 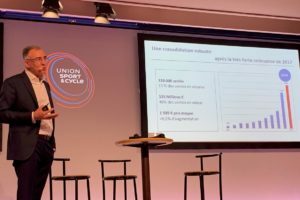 The stagnant e-bike sales in Italy are contrary to the developments in other major European markets like France, where e-bike sales increased by over 70% in 2014. 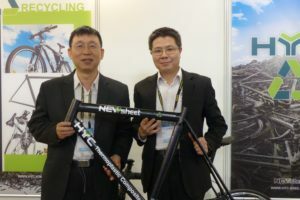 ANCMA blames this on the fact that the e-bike market is changing rapidly towards higher priced products and it will take some time for the market to get used to the higher price levels. ANCMA calls this the “Bosch effect”. More on the development of the Italian market is Bike Europe’s August (Eurobike preview) edition which will be available online on August 10 and in print August 11.